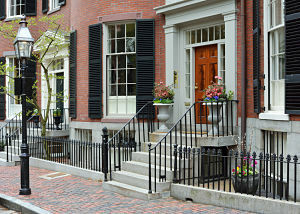 Boston real estate is made up of neighborhoods - each with it’s own unique feel and character. From architecture and culture to food and shopping, you can find what you are looking for here. Each of these neighborhoods is, in its own way, responsible for the tremendous growth of the Boston real estate market in 2018. "In New York, they ask, 'How much money does he have?' In Philadelphia, they ask, 'Who were his parents?' In Boston they ask, 'How much does he know?" There is no one best neighborhood in Boston to live in. The neighborhood you choose will really depend on your budget, where you will be employed, do you have a growing family, are you retired and, what you like to do for entertainment. The neighborhoods of Boston are Allston/Brighton, Back Bay, Beacon Hill, West End, Charlestown, Chinatown, Dorchester, Downtown, East Boston, The Fenway, Kenmore, Hyde Park, Jamaica Plain, Mattapan, Mission Hill, North End, Roslindale, Roxbury, South End. Bay Village and West Roxbury. Click here to see a map of the neighborhoods. If you want to see the available properties for sale on a map, click here. Although foreclosures in Boston are currently not that prevalent, we will update this article with statistics as they come available. South End and Back Bay are full of trendy bistros, cafes and nightclubs. North End is known for its fabulous Italian cuisine. Closer to the Common is Chinatown with streets full of Asian food choices and a perfect choice for dinner before or after a show in the nearby Theater District. 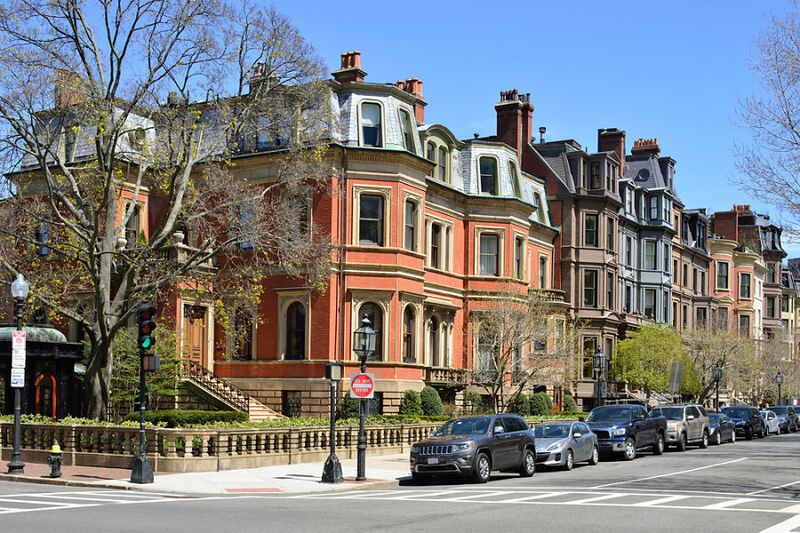 The elegant residences of Beacon Hill and Back Bay are part of the historical Boston with Beacon Hill being home to many of the founding families of Boston, the Brahmins, descendants of the first New Englanders. The homes of Beacon Hill were built in the traditional Federalist style and are complete with porticos and columns. Louisburg Square is one of the many residential squares in Boston and, tucked away from the city bustle, has a quaint feel to it’s streets. The North Slope of the Hill houses a diverse mixture of students, young families and elders. 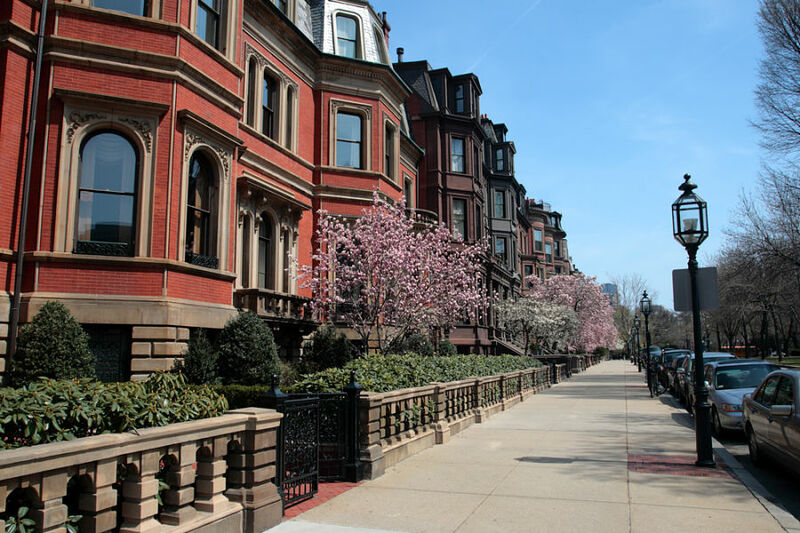 The Back Bay is the only area of the city that was designed in a true street grid pattern and has streets lined with large, impressive homes including the very sought-after Back Bay Brownstones. The cross streets are all in alphabetical order. A very organized street design for a mostly otherwise haphazardly-planned Boston! The South End (not to be confused with South Boston or "Southie") has undergone its own renaissance over the past few decades. In the early 1980s the neighborhood was Boston's version of Greenwich Village but transformed in the mid-90s and now has become one of the hottest neighborhoods to live in Boston primarily for its affordability and proximity to other downtown neighborhoods. Fenway/Kenmore Square is always full of activity with many colleges in the area such as Boston University, Emerson, Simmons, and Wheelock. This is also where many of the medical centers and doctors offices are located. The neighborhood is also home to the historic Fenway Park, which is surrounded by a variety of restaurants. Charlestown is where Old Ironsides is located and the neighborhood has a very historical flavor to it. It is home to many young professionals who have bought the old triple decker homes and refurbished them. South Boston is a diverse neighborhood full of upscale restaurants that coexist with traditional Irish pubs. There are not many tourists who find their way to Castle Island, which is a shame for the tourists but fine as far as the “Southies” are concerned as it offers them the solitude to walk to the harbor and enjoy the fantastic views of the harbor without a lot of tourist activity. The demand for South Boston homes has continued to be strong. Dorchester is known for being rough, but there's a lot to love about Dorchester. The area is full of diversity which translates into a variety of wonderful restaurants along the "Dot" (aka Dorchester Avenue). In Dorchester you’ll find a variety of cultures which translates into a diverse community full of Indian, Irish, Vietnamese cultural experiences and restaurant options. Jamaica Plain (aka JP) is neighborhood of working professionals who enjoy the diversity the neighborhood offers and its proximity to downtown. JP has it’s share of ethnic restaurants as well as the Arnold Arboretum and the Jamaica Pond which both have scenic walking paths for residents and visitors to enjoy. West Roxbury is very near JP and is full of lovely homes. Many of the city politicians live in this area and there are some nice Irish pubs in West Roxbury. Allston and Brighton is an enclave for the city’s Boston College and Boston University students. Harvard Ave is a popular street that runs through Allston and acts as a main street. It is filled with shopping opportunities and a variety of restaurants. Mattapan, North Dorchester, and Roxbury is where you’ll find some of Boston’s best soul food restaurants, hair braiding shops, and Spanish grocery stores. The Strand Theatre in Upham's Corner has entertainment and Blue Hill Ave is full of shops and restaurants. Hyde Park, Readville and Roslindale (Rozzie) are all near Mattapan. They are all diverse, working class parts of the city. Roslindale has a significant Lebanese population and they have incredible bakeries there. East Boston is primarily Hispanic with a mixture of other cultures. Here you'll find shops and eateries, several beaches and the airport! East Boston is also home to Santarpio's Pizza which is worth a trip to Eastie. People drive miles to go to Santarpios because the pizza is phenomenal. 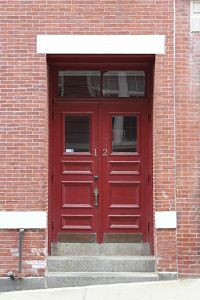 No matter what you are looking for you can be sure that you will find it in one Boston’s incredible neighborhoods.